Updated: Aug. 4, 2018, 8 p.m.
What does "G.I.R.L." mean? 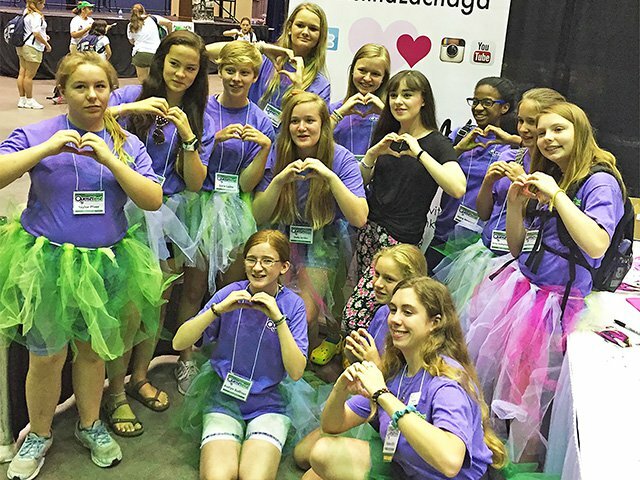 For the Girls Scouts, it means being a Go-getter, Innovator, Risk-taker and Leader. Katlyn Sullivan is a brand new sixth grader at William James Middle School and those are some of the traits that she used to help the Girl Scouts of Historic Georgia put on their annual QuestFest event last month. 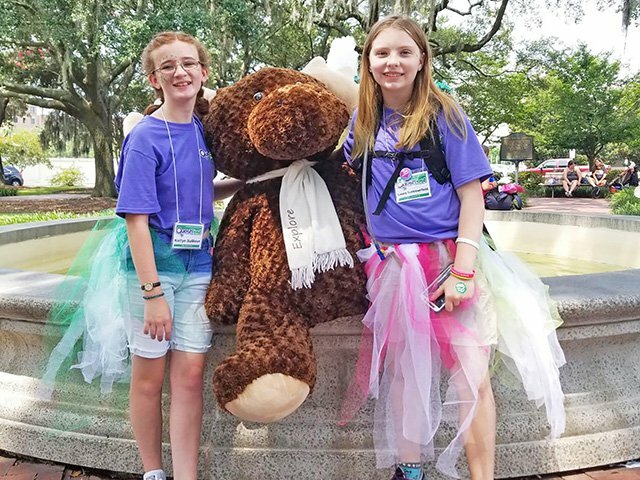 QuestFest just completed its second year of having Girl Scouts from all over the United States come to visit Savannah, where girl scouting all started. The event is a scavenger hunt of sorts built around getting to know more about the city of Savannah, its history and the history of Girl Scouts. Teams from 22 states participated in QuestFest from July 12-14. Sullivan, 11, joined the Girl Scouts in 2014. A member of Troop 30449 in Statesboro, she was a junior scout and is bridging to a cadette this year. In July 2017, Sullivan and her mom Kathleen participated as “questers” in the inaugural event. Last December, the Girl Scouts put out a call wanting to make the event a more G.I.R.L.-led event. Sullivan answered the call and committed her time to being a member of the G.I.R.L. committee. As a member, she participated in weekly conference calls where the committee would discuss ideas, opening ceremonies, merchandise for the event and feedback from the first event. The G.I.R.L. committee was made up of scouts from Augusta, Savannah, Rincon, Statesboro, Duluth and Greenville, South Carolina. In April, the committee gathered in Savannah for a weekend and did a test of the QuestFest participants would participate in to see if they would work. The G.I.R.L. committee assisted the staff and volunteers with the actual event and acted as ambassadors for all Girl Scouts. Sullivan and her fellow committee members were the cheerleaders, the faces on social media promoting the event and assisted with several of the quests. The QuestFest G.I.R.L. committee, with Sullivan kneeling in center, is shown with Kristina Lachaga. The group is forming "hearts" with their hands because Lachaga is known as "The Girl With The Big Pink Heart." 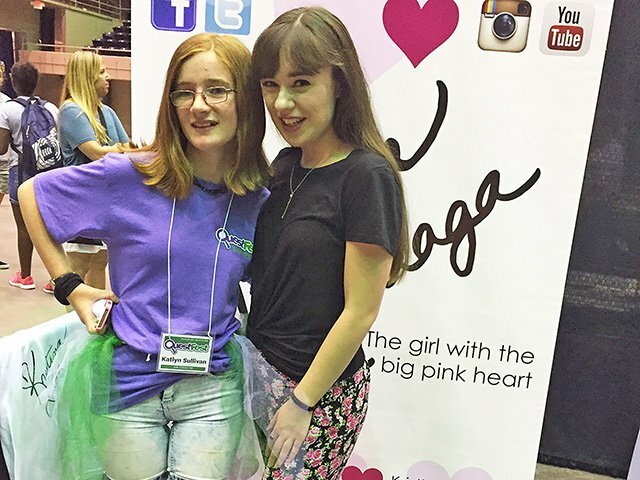 Sullivan, left, poses with singer Kristina Lachaga, who was the headliner for the celebration concert at the end of QuestFest. The photo was taken during the Quest Expo where different sponsors were set up to share information about their businesses for Girl Scouts.